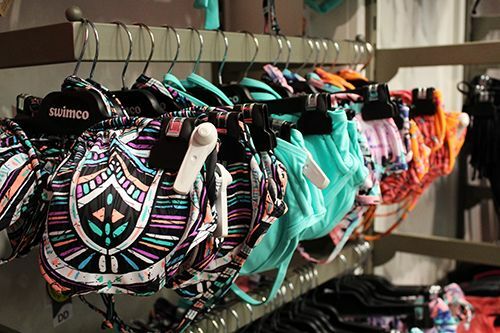 Gorgeous swimsuits!! Love all the colors and patterns. The prints are so pretty! What a nice selection! Omg, that store looks freaking awesome! I've been going a bit nuts over buying bikinis and I can see so many fun and bright prints! And the slippers! Lovely stuff there!